THE EPO long ago lost the respect it once had. It is not the fault of patent examiners but the fault of the management, which is now abusing lawyers and threatening politicians because they increasingly get the courage to stand up to them. The reign of terror is no longer directed only inwards but also outwards. Even external entities are being bullied by the EPO’s management. How on Earth is this even possible, especially coming from a public body (not private)? Immunity on steroids has turned the EPO into some kind of Mafia at the very heart of Germany, not far from the Italian border. “The reign of terror is no longer directed only inwards but also outwards. 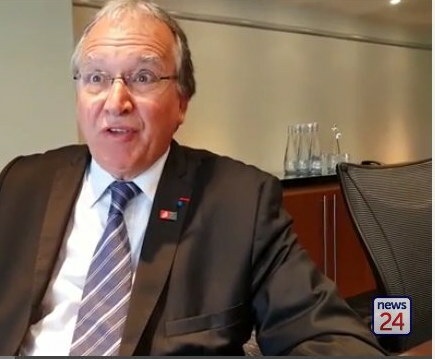 Even external entities are being bullied by the EPO’s management.”This audio of Battistelli was recorded at a meeting with delegations of the Administrative Council last year. The arrogance of this man and his bad policies were so outrageous that people who attended decided to leak this audio. Some people were appalled by all that. Well, maybe they should start bringing cameras too, considering today’s story. For years the Member States let Mr Battistelli reign over the EPO with little – if any – supervision of the way the Office was being run. In June 2014 they even supported the prolongation of his term of office for 3 more years from July 2015 at a time when the social situation was already very tense and there were clear signs of a drift towards an authoritarian regime at the EPO. It seemed that nothing – not even the judgment of the Appeal Court of The Hague against the Organisation in February 2015 nor the occurrence of five suicides in 39 months – seemed capable of awaking the Administrative Council (AC) from its complacent lethargy. There are signs that this may be changing. Several questions and criticisms from delegations (BFC delegations are manned by roughly the same people as the AC delegations) during the last meeting of the Budget and Finance Committee (BFC) on 22 and 23 October in Munich showed that Mr Battistelli no longer enjoys the full confidence of several delegations. “After the meeting had concluded he went in turn to the French and Norwegian delegations whom he fiercely rebuked for their respective actions and in such an overbearing manner that it caused visible emotional distress to a member of the French delegation. These incidents took place in full view of the other (speechless) delegations.”Dealing with opinions that diverge from his own is not one of Mr Battistelli’s main strengths. During the BFC meeting a critical comment from the Norwegian delegation concerning the inappropriate lack of information provided to the BFC for making informed decisions, and the voting pattern of the French delegation (abstention on the 2016 EPO budget, vote against the President’s proposal on the tax adjustment for pensioners) triggered instant and brusque responses from the President. But Mr Battistelli went even further. After the meeting had concluded he went in turn to the French and Norwegian delegations whom he fiercely rebuked for their respective actions and in such an overbearing manner that it caused visible emotional distress to a member of the French delegation. These incidents took place in full view of the other (speechless) delegations. Bullying such as this is often a sign of insecurity. It’s really self-explanatory a deed. In the nut shell, the EBA tells the AC that their request is inadmissible due to that it is legaly flawed. Also the decision of the DC appointed by the AC is equally legaly flawed. Thus, manifestly apparently, collectively the AC has miserably failed in its duty of care towards the member of the BOA by subjecting him to legaly flawed disciplinary proceedings. Moreover, collectively the AC has miserably failed the EPO and the European public by failing to calrify serious accusation of misconduct by a member of the BOA. Moreover, with the big help of the president and vice-presidents any further prosecution of this case has been seriously prejudist by publicising the details of the case in newspapers, and the AC did not manage to prevent this. Hence, the AC is not controling the stuation but rather it controlls them. I do not see how there is anything els for the AC left to do, other than collectively resign at the next meeting in Decemebr. “Asking a judicial body to tell the claimant what he should do in order to win his case is simply flabbergasting. Being faced by the non-admissibility of its request, wanting to reopen the discussion on admissibility is plainly laughable.”They can then appoint BB as a temporary adminsitrator of the duties of the AC in lue of them. Then BB can swiftly investigate himself, in accordance with the EPC, in regard of the outageous charges of institutional abuse of the union, appoint a DC and win the case. The perhaps most extraordinary element in the decision comes early, namely its cover page, where it is indicated that the Administrative Council’s representative actually was … the EPO! What a mess. What is extremely worrying is that this bunch of people, the AC and the president are presiding over the fate of a major institution in the world of IP. It is frightening to see the level of self satisfaction this people exude…. In a private company they would have been fired yesterday rather than today. Asking a judicial body to tell the claimant what he should do in order to win his case is simply flabbergasting. Being faced by the non-admissibility of its request, wanting to reopen the discussion on admissibility is plainly laughable. Amateurism at his best…. On the other hand, it is not uncommon that in case of internal complaints it is not infrequent to amend the rules and their interpretation during the procedure, so as to insure that a decision adverse to a complainant is the necessary result of the procedure. “Control Risk should be banned from the EPO, this group contributed to the present situation.”It is interesting also to note that the “petitioner” did not hesitate to invoke German law, as VP 5 did recently. How can it be that in some cases national law is or should be fully applicable, and in other cases, cf. decision of the Dutch court it is not? I hope that VP5 in his great wisdom and intelligence will issue a communiqué explaining the varying applicability of national legislation. What kind of counsellors this people have? On the other hand, looking at what VP5 has recently let out, there is no wonder that it ended up in a fiasco. One can only be sad when looking what those pseudo managers/lawyers have made out of a well working and reputed institution. If the hidden agenda of the president was to let the EPO to go into the wall, he is very near to have achieved his aim. The DC and the President were unable to present verifiable facts and substantiate the allegations made about the DG3 member. Accordingly, the house ban on December 5th 2014 was not justified and has to be considered as an abuse of power by the President. The President fooled the entire AC who agreed unanimously with the President’s proposal. The press releases in the Financieel Dagblad and other papers seriously damaged the reputation of the EPO, for which the President and some VPs are responsible. The EPC should be amended to limit the power of any President in order to prevent any such abuse of power in future. The AC should lift the immunity of the President and the VPs for proper justice to be executable w.r.t. libel suits and damage done to EPO staff. Control Risk should be banned from the EPO, this group contributed to the present situation. The president of the AC (JK) should step down because of his failure to properly supervise the whole process. The EBA shall be praised for defending due process. The proceedings against the suspended member have exposed the manner in which BB has being operating since introduction of Circular 342. All he needs to do is select an “irksome” staff member, give instructions to the IU and sit back and watch. Kudos to the EBA for refusal to fullfill the role of a rubber-stamper assigned to it by BB. We can be grateful that miscalculation on the part of BB has finally exposed rotten system that was introduced on his watch with the tacit approval of the AC. Rumoured Successor of Battistelli, Christoph Ernst, Previously Seen as Antagonist of Battistelli But What About UPC? Forget Staff Union-busting ‘Strike Ballots’, How About Ballots on Presidential Matters? A Call for Bloggers and Journalists: Did EPO Intimidate and Threaten You Too? Please Speak Out.